All of the MEAs, CCMs, and GDEs, listed in this category are here because they were either overstocked, the customer changed their mind, or we are discontinuing that particular MEA/CCM. We do not guarentee the performances or test-standards of any of these MEAs, CCMs, or GDEs. If you need custom MEAs, CCMs, or GDEs please contact us at sales@fuelcellstore.com with your specifications, quantity needed, and shipping address for a quotation. 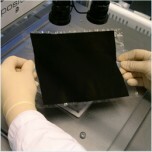 Membrane electrode assembly (MEA). Pre-made and ready to ship. Active Area (cm) ..
3 Layer membrane electrode assembly (MEA). Pre-made and ready to ship. Active Area (..